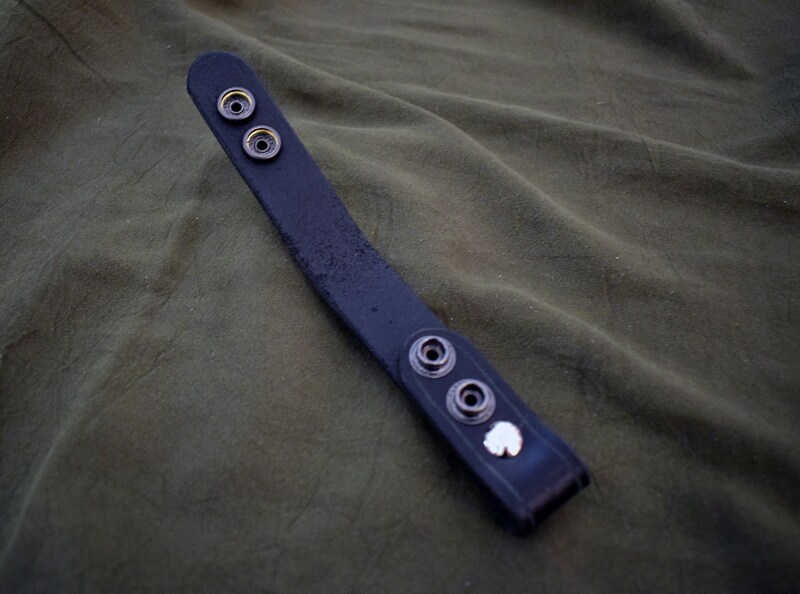 This listing is for a leather dangler loop, Similar to our other dangler, but closed with 2 snaps, instead of requiring your belt to be threaded through the loop. 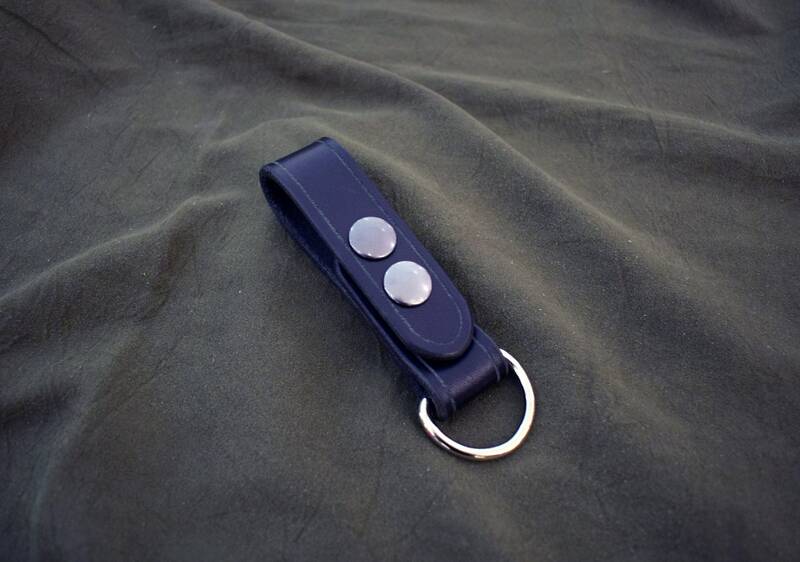 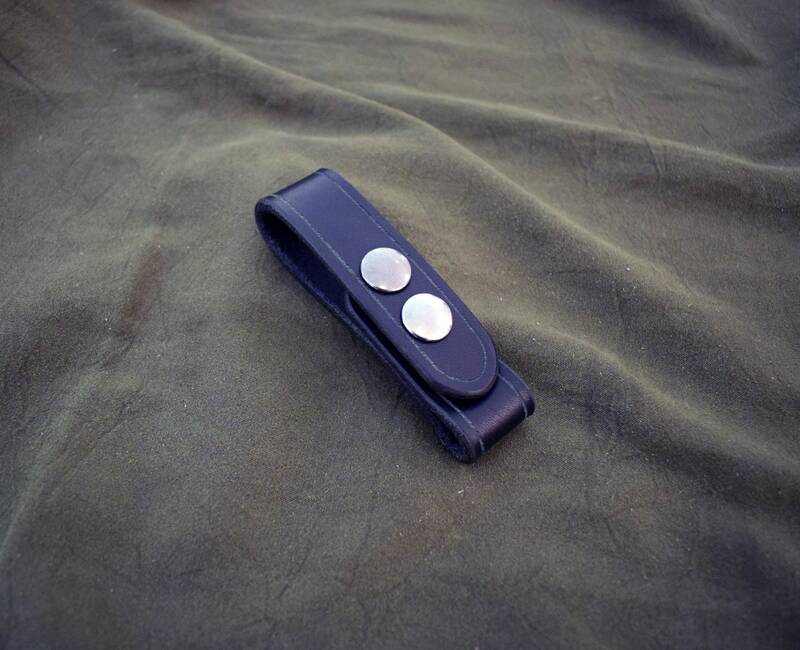 The loop works to extend the belt loop of an existing sheath, or it works great as a key ring or lanyard. 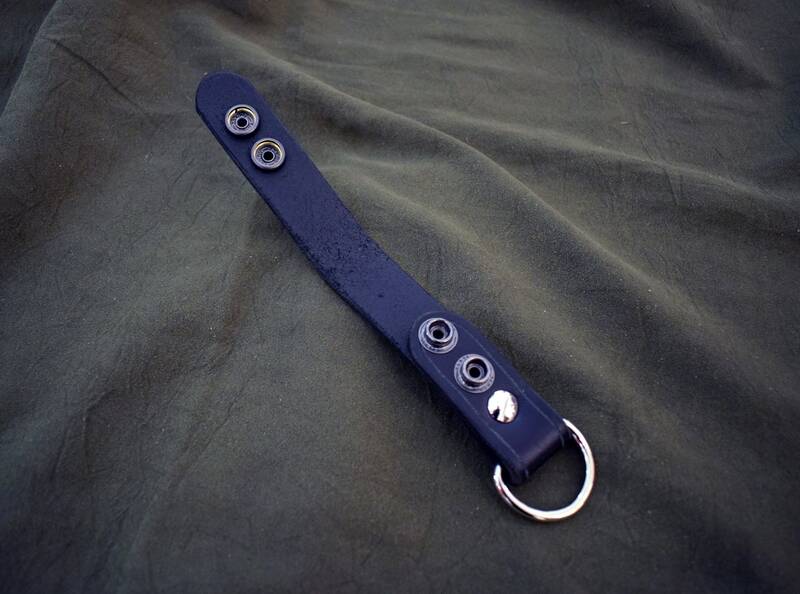 The loop is made of 8-10 ounce Latigo cowhide, and is closed via 2 steel snaps. 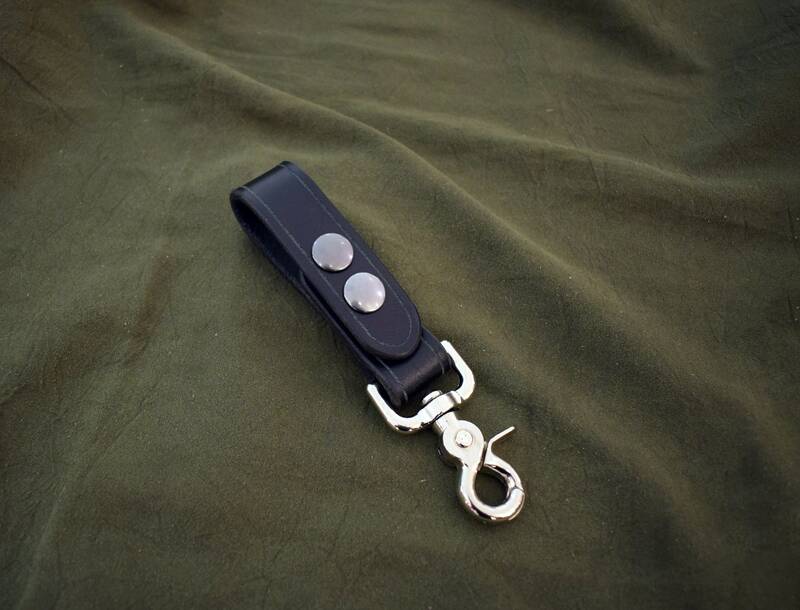 The ring or snap of your choosing is attached via a chicago screw. 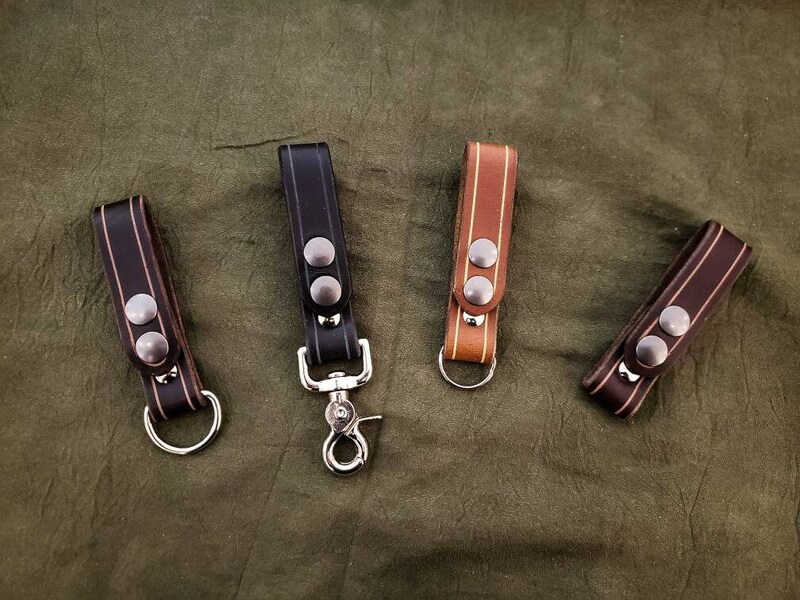 It is 1" wide, and will accept belts up to 2.5" wide.